Coventry City Council leader Ann Lucas: "This means power moving from Whitehall to the West Midlands – not from Coventry to Birmingham"
Coventry looks set to join forces with Birmingham and the Black Country to create a new combined authority, after the city council&apos;s ruling Labour group backed the idea. A report recommending that Coventry joins the new authority will now be put to the city council’s cabinet and then a full meeting of the council, after Labour councillors agreed to support the move at a meeting in the Council House. The Queen&apos;s Speech on May 27 is to include a new Cities Devolution Bill, which will allow the Government to transfer powers including control of funding to combined authorities. A proposed West Midland authority would include Birmingham and Black Country councils Sandwell, Dudley, Walsall and Wolverhampton, which have already agreed to work together. It had been unclear whether Coventry would be involved, but the decision of the city&apos;s ruling Labour group to support the idea means this is now likely to happen. Solihull could also be a member, although Solihull Metropolitan Borough Council has not committed itself to joining. The new body is sometimes referred to unofficially as a “Greater Birmingham” or “Birmingham City Region” authority, but it could have any name. 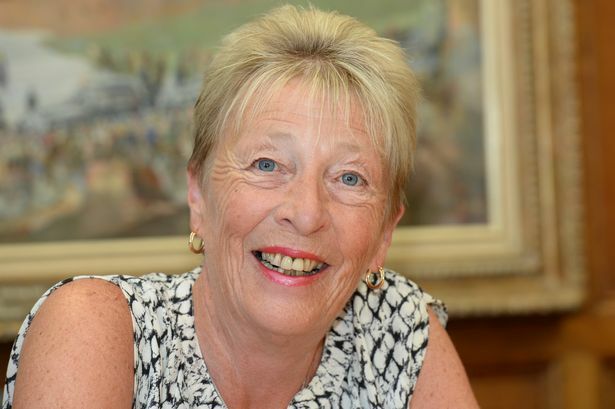 Coventry City Council Leader, Coun Ann Lucas said: "This means power moving from Whitehall to the West Midlands – not from Coventry to Birmingham. "Coventry City Council would lose none of its current powers as a result of joining a West Midlands combined authority but the city would get a much greater say in making decisions that will help economic growth, regeneration and the region&apos;s future prosperity. "I think that councils across the West Midlands working together to make decisions about major investment in things like transport can make much better decisions for Coventry than government officials in London can. "The new government and the new secretary of state are clear that devolution is a priority. If we&apos;re not part of a combined authority we won&apos;t get the extra funding we need to continue to develop the economic growth and success we&apos;ve delivered locally over the past few years." Councillors also stated a desire to have councils from Warwickshire join the proposed authority, although specific authorities were not named. The decision was welcomed as a "brave and historic" step by Greater Birmingham Chambers of Commerce. President Greg Lowson said: "This is an important milestone in the history of the West Midlands. "Businesses in the region will fully support this move, not least because the Chancellor has made it abundantly clear that only combined authorities will be given increased powers, including those relating to economic development, transport and skills. "Already a combined West Midlands authority feels like a real powerhouse with involvement from the Black Country and Coventry and we now urge Solihull to follow suit." The chamber also urged councils to consider creating a directly elected metro mayor for the authority. George Osborne, the Chancellor, has stated that creating a metro mayor is a condition for receiving substantial new powers, but this is likely to be a stumbling block as many councillors oppose the idea - and residents in Birmingham and Coventry both voted against mayors in referendums in 2012. Mr Lowson said: "The business community is ready to throw its weight behind the hard work that must be started immediately to drive ahead to create a combined authority and to look seriously at the issue of an elected mayor. "Birmingham&apos;s electorate rejected the idea of an elected mayor for the city alone, as Manchester did, but a mayor could unlock even more resources for a combined authority. "We congratulate all of the authorities for taking such swift action on this in the wake of the General Election and we are sure it will go down as a brave and historic step." The Government is initially devolving power and funds to Greater Manchester, but Mr Osborne has said he hopes this will be a blueprint for other regions across the country. Speaking in Manchester last week, Mr Osborne said: "We&apos;re devolving power over policing, skills, housing. We&apos;re giving the city control over transport, including buses. We&apos;re devolving power over a £6 billion health and social care budget. "And we&apos;re bringing it all together with the accountability and leadership that an elected city-wide mayor will provide." But he said he wanted to do the same for other regions too. "We will hand power from the centre to cities to give you greater control over your local transport, housing, skills and healthcare. And we&apos;ll give the levers you need to grow your local economy and make sure local people keep the rewards. "But it&apos;s right people have a single point of accountability: someone they elect, who takes the decisions and carries the can. So with these new powers for cities must come new city-wide elected mayors who work with local councils. I will not impose this model on anyone. But nor will I settle for less."